Announced during the hubbub that was E3 2013, The Crew is shaping up to be one extraordinary game. In development by Ivory Tower studios and published by Ubisoft, the game is a persistent online racer built from the ground-up with social and co-op play in mind. Join in, team up, complete missions and head out for a drive across the USA. But here's the real kicker: the game's world is over 3,100 square miles (5,000 km) in size. The New York map alone is as big as Liberty City from Grand Theft Auto IV. So when you do fancy that drive, you'd better be settled in for the long haul. 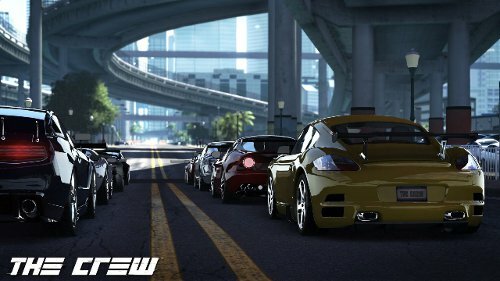 Gameplay in The Crew is focused on arcade-style racing with plenty of RPG features. Join in and complete campaign missions to unlock/upgrade cars and trick out your vehicle in just about any manner you like. Combat is also a thing, so you might even have to worry about armor plating at some point. 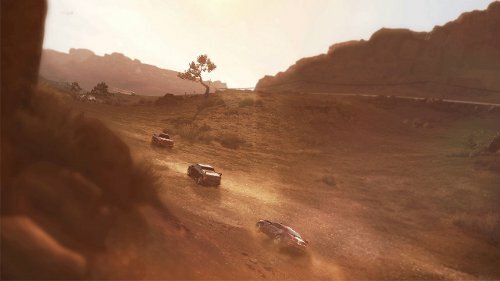 The Crew is heavily social in nature and makes pairing up with other players to complete missions as simple as possible. Just in case you just want to get a team together and re-enact parts of Mad Max, you totally can. Whatever pumps your pistons. It all takes place in a persistent online world where loading screens are a distant memory. The design philosophy behind The Crew is "if you can see it, you should be able to drive to it". Want to head from New York to Los Angeles? We're not sure why you would (lulz, LA joke), but you can, and it'll take you a few hours of real-world time to do it. It's no Desert Bus, but that's some serious virtual real estate. Between the cities are plenty of back-road trails, mountain passes, deserts and woodlands to drive through, just like you'd expect. And it's all rendered in suitably gorgeous next-gen graphics, which we likey very much. The Crew is scheduled for release on Xbox One, PlayStation 4 and PC in 2014. It will support co-op teams of up to four players. Page created in 0.4643 seconds.